Many of the traditional features of the Devon countryside such as dry stone walls and hedge banks were originally created and maintained by rural craftsmen, using the skills that were passed from father to son. In recent years, these skills have been at risk of being forgotten. 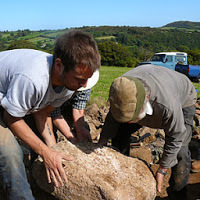 The Devon Rural Skills Trust was established in 1980 with a view to safeguarding the future of those traditional skills whilst the men and women who practiced them were still able to pass on their knowledge. During this time the Trust has trained thousands of people, enabling them to work professionally within the rural sector and provided many others with the skills and knowledge to practice traditional rural skills in their leisure time. 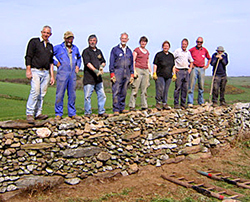 The DRST runs regular courses throughout the year and a training scheme to promote a variety of rural skills including dry stone walling, hedge laying, coppicing, and cob building. Browse the site using the menus on the left to find a course, become a member, or to support the charity in its work and help us continue Devon's traditional craftsmanship and heritage.